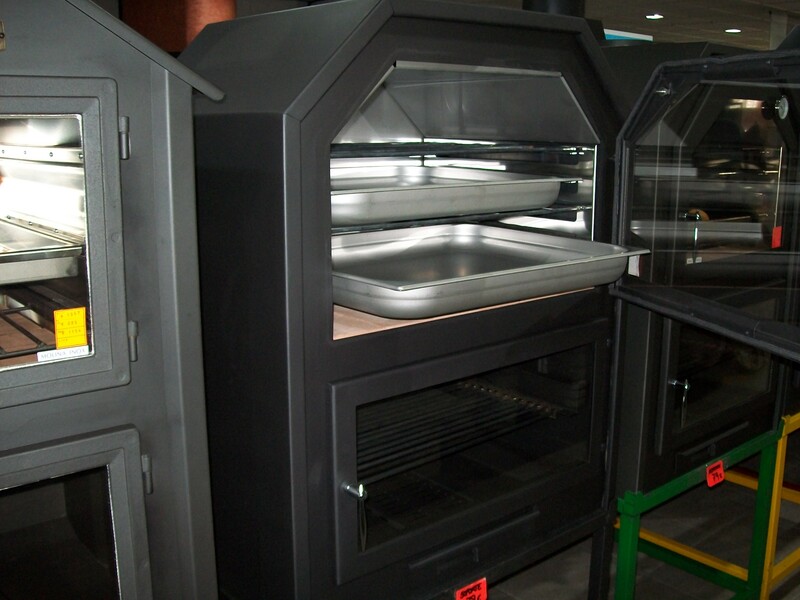 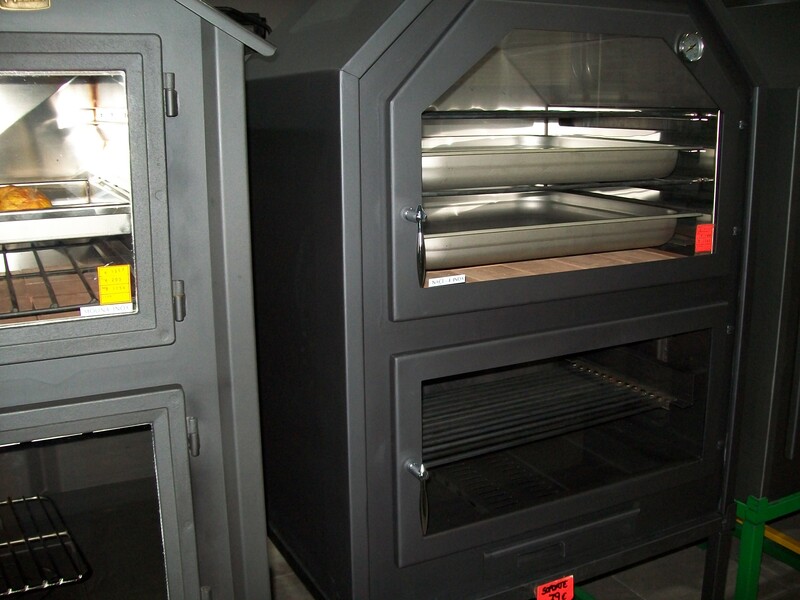 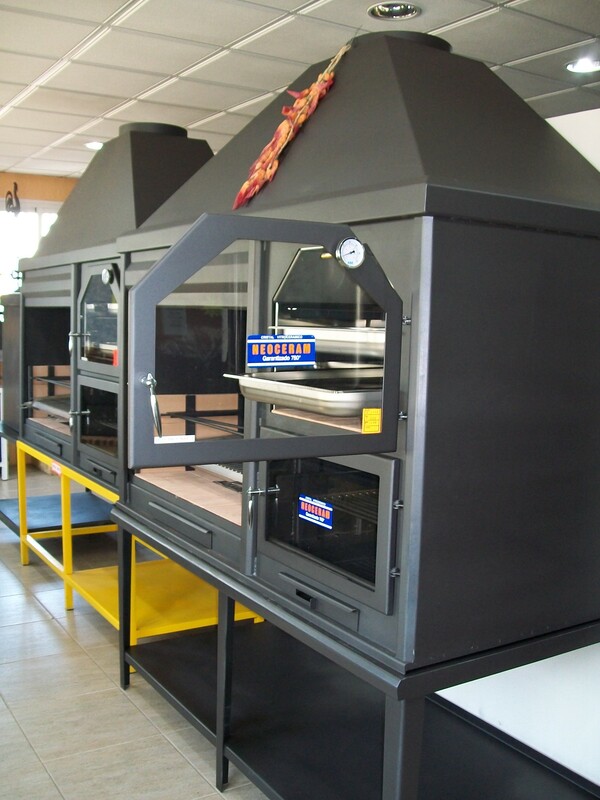 HORNO REVESTIDO CON AISLANTE PARA MEJOR CONSERVACION DEL CALOR, CON PARRILLA PARA ASAR Y 2 BANDEJAS INOX GRANDES PROFESIONALES. 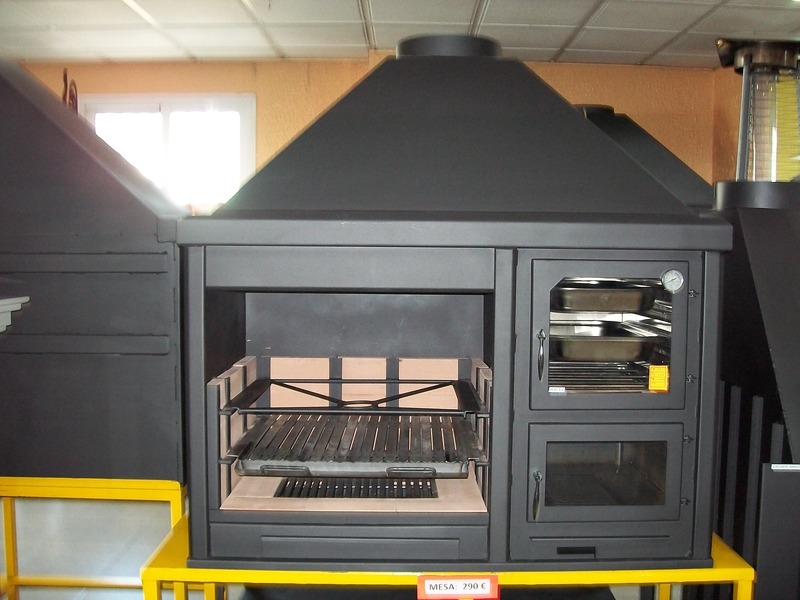 INTERIOR EN ACERO INOX. 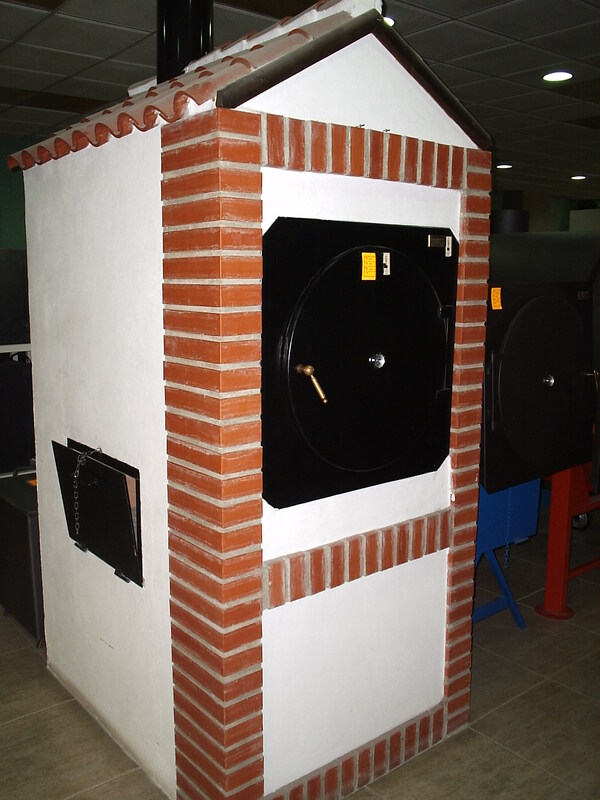 PUERTAS DE CRISTAL, PARRILLA Y CAJON CENICERO.